Every six months a smartly dressed woman with a clipboard arrives at my neighbour’s front door, knocking briskly before letting herself in. Another property inspection? Already? “I don’t mind!” says my neighbour. As someone who was rentvesting (owned a rental in another state while living in this rental in Melbourne), she thinks it’s good for the property’s owner that the agent is keeping an eye on things. My rental inspections are a little more sporadic. And maybe because of this, when I do get the property inspection letter/email/text (or all three), I panic. Is it to increase the rent? Get it valued to sell? Oh, the precarious life of a renter. Then I worry about more practical things. Should I stay or should I go? Will they notice that I’m Airbnb-ing the spare room … just kidding! Should I get out the sugar soap for the walls? Should I make a fuss about all the broken stuff? “The purpose of the inspection is just to show the owner how their property is being maintained,” says Daniel Stocco of Thomas Quixley Real Estate. Should I stay or go during an inspection? “When a member of our team conducts the inspection, they’re mostly just looking to make sure there is no major damage and to record it if there is,” Mr Gooden says. Do I need to tidy up? Mr Stocco says 90 per cent of his tenants make an effort. “As soon as you walk through the door you can kind of tell,” he says. His notices of inspection letters ask tenants to tidy up, and inform them that they’ll be taking photos. 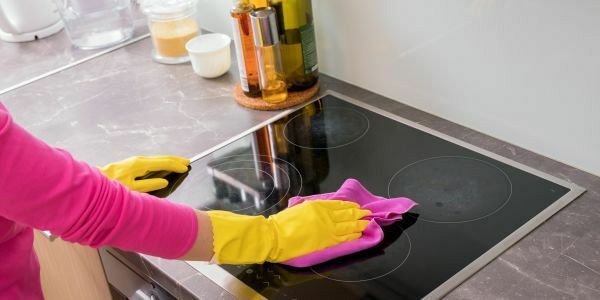 “We send the tenant a letter explaining what we’re going through for, to ensure the beds are made, the oven and stove is clean, and things like wiping over exhaust fans. As long as they tidy the place… but we don’t expect them to clean the windows inside and out,” he adds. Remember the inspection time and date. And be dressed. But it’s not all shock and awe. “People have left me Lindt chocolates on the bench, with notes saying, ‘Help yourself’,” he says.